Hol Chan Marine Reserve in Belize - "Our Belize Vacation"
The following information has been provided compliments of the Hol Chan Marine Reserve. 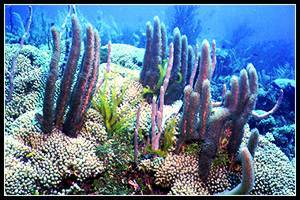 The Hol Chan Marine Reserve and Shark Ray Alley are the most popular diving/snorkeling sites in all of Belize. 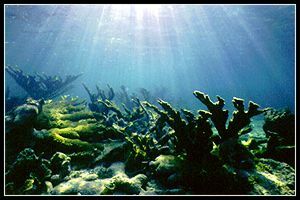 This is due to the close proximity of San Pedro, the large amount of fish life found with the Hol Chan "cut" accessible by snorkelers and beginning divers, the diversity of marine life encountered throughout the 4 zones of the park and the excitement and novelty of swimming with large numbers of nurse sharks and sting rays. 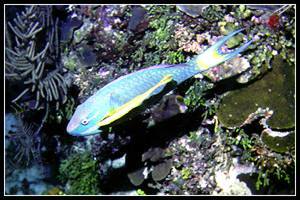 Off the southern tip of Ambergris Caye is Belize's oldest marine reserve, the Hol Chan Marine Reserve. Hol Chan is Mayan for "little channel". The entire reserve focuses on a cut through the reef (called a quebrada) which is little more than 25 yards (23m) wide and 30 feet (9m) deep about 4 miles southwest of San Pedro. All four zones are clearly marked on the surface by byouys. Zone A through C each represents one of the major marine habitat types in Belize. 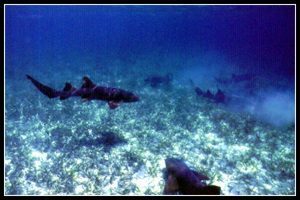 Zone D was recently added as a location where nurse sharks and southern sting ray congregate. 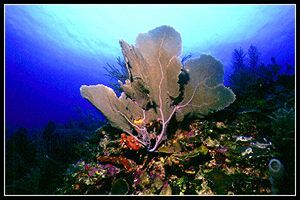 Realizing the importance of the coral reef community off Amerbergis Caye, Belize the Government of Belize established the Hol Chan Marine Reserve on May 2, 1987. Shark Ray Alley was officially declared Zone "D" of the Hol Chan Marine Reserve on August 31, 1999. Due to its protected status, what was once a depleted fishing area has now been allowed to re-generate, providing an unparalleled diving-snorkeling experience for visitors and an important refuge for marine life along the northern section of the Belize Barrier Reef. Belize is bordered on the north by Mexico, on the wet and south by Guatemala, and on the east by the Caribbean Sea. The Hol Chang and Shark Ray Alley Marine Reserve is located approximately 4 miles southeast of San Pedro Town near the island of Ambergris Caye. 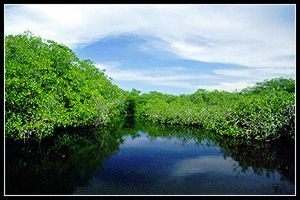 The Hol Chan Cut is only 15 minutes (4 miles) south of San Pedro and about 30 minutes north of Caye Caulker. Trips from San Pedro last about half day, while trips from Caye Caulker last a full day including a visit to San Pedro. During the boat ride to the park, keep an eye out for jumping rays and flying fish. 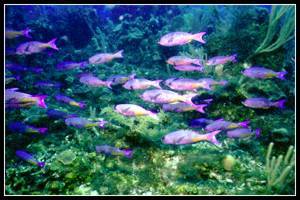 Due to the protected status of the area, the fish populations have exploded. 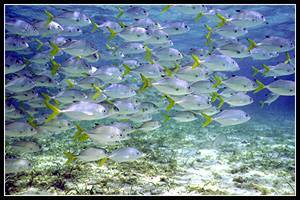 In waters as shallow as 5 feet, alrge schools of jacks, groupers, snappers and barracuda abound. 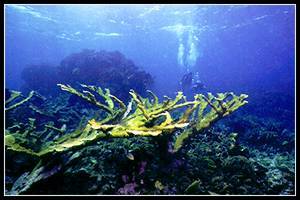 Along each side of the cut grow healthy stands or corals and seagrass in shallow water, perfect for the beginner snorkeler. The more experienced swimmer can swim from one side of the cut to the other, experiencing shallow reef, drop offs over the steep sides of the "cut", and seagrss and sand beds in the middle of the channel. 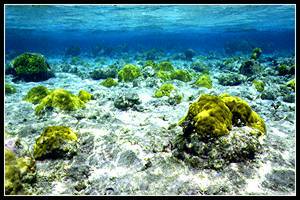 Outside the barrier reef, the ocean bottom gently slopes off into the Caribbean. 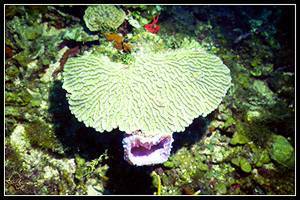 All levels of diving can be accommodated here due to the variations in depth, from 30 to over 100 foot dives can be planned and executed Spur and groove formations (hills of coral running parallel to valleys of sand) provide rich habitat for marine life. Spotted eagle rays and other pelagic creatures swim above the reef while the more cryptic life like lobsters and eels fill the holes and tunnels through the coral spurs. It is necessary to use common sense and check with local knowledge prior to diving the Hol Chan Channel. During times of maximum tidal flow, the currents can be too strong to swim against. 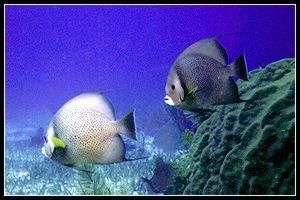 Whenever snorkeling in Belize, and especially at Hol Chan, it is essential that you have a good pair of fins and mask. While much less visited, the seagrass beds and mangrove roots of Zones B and C are well worth the visit if only for the novelty of what you might see. 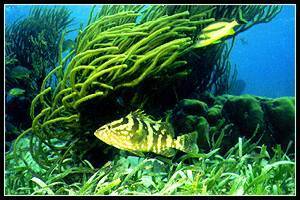 Seagrass beds are huge feeding grounds, and chances are that you will come up huge sting rays feeding on the bottom, and schools of parrot fish and hogfish grazing on epiphytes growing on the seagrass. Though a very rare occurance, it is even possible to view manatee feeding in the grass beds. 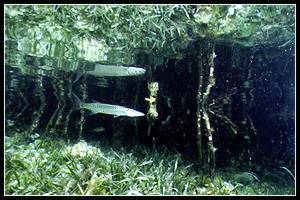 The best method of exploring the seagrass beds is to have your boat drop you off about 200 yards from the mangrove edges, or near some other feature that your guide knows about, and to slowly swim toward the mangrove or feature. Swim slow ans swing your head from side to side. 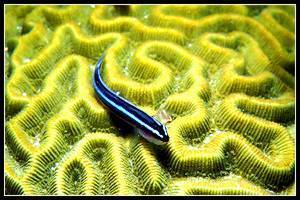 Much of the life in the grassbeds is well camoflauged and cryptic, so you will have to key in on movement - a conchshell dropping as the snail reacts to your movement, a lizardfish darting to the surface to feed and then back down motionless, a salifin bleny flagging. It is even worth your while to stop for a few minutes motionless and let the surroundings come alive. 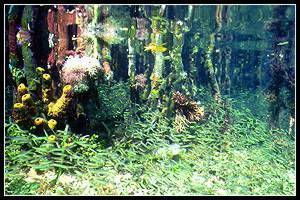 Within the seagrass zone lies the Boca Ciega ("Bind Mouth") cave. 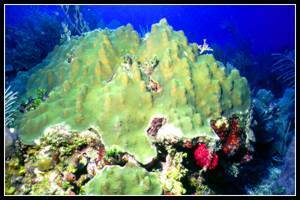 This "blue hole" is a miniature version of the famed Blue Hole at Lighthouse Reef. You must be a cave-certified SCUBA diver to enter Boca Ciega, and only attempt to explore it after contacting the Reserve Manager at the office in San Pedro and securing an experienced cave-certified guide. The cave is considered dangerous, even by some experienced cave divers, and visibility in the area is generally poor. 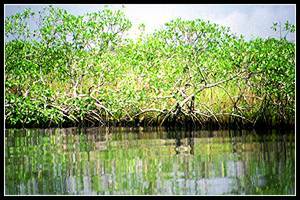 Finally, while in the seagrass and mangrove zones, keep a keen eye and ear out for passing boats. Since most snorkeling and diving activity take place at the Hol Chan Channel, many boats speed through the other parts of the park. Yu can hear the wine of an outboard motor from a long ways away. 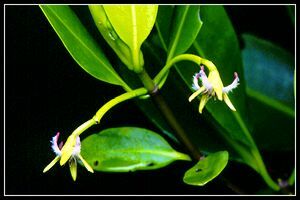 The mangrove habitat, especially the mangrove root systems that extend into the tidal range of the area, are one of the most colorful and biologically diverse habitats for marine invertebrates. 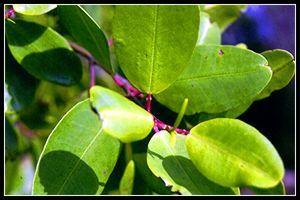 Be careful while swimming among the mangroves. Stay well back from the silt laden roots, or you will stir up debris clouding the water. Gently float in toward a colorful root and be amazed at the layer upon layer of life struggling for space on the roots. 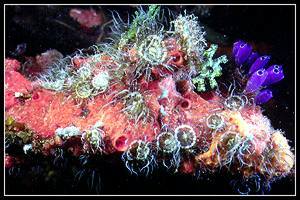 This recently discovered dive site has been selected as one of the seven best "animal dives" in the Caribbean SKIN DIVER MAGAZINE. For years, local fishermen cleaned their catch just inside the reef, to the south of Hol Chan Cut and Ambergris Caye. The fishermen soon noticed that the offal from cleaning fish was attracting Nurse Sharks and several Southern Sting Rays. When the dive operators of San Pedro found out, they quickly investigated. What they found was a bonanza, and "Shark-Ray Alley" quickly became a very popular site. The sharks and rays hear the dive boats approaching and begin to school in anticipation of bait being thrown into the water. When you arrive, you will see the surface often boiling with rolling sharks and sting ray wings as they vie for the scraps. 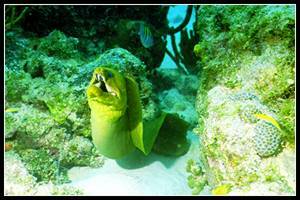 These creatures have a great tolerance for divers and snorkelers. The rays, which have a "wing-span" of two to four feet, swim directly toward the divers, mouths often turned up hoping for a hand held tid bit to be placed near their mouths. Other have learned to swim in circles around the divers, as if performing for food. The docile Nurse Sharks average four to six feet in length and can be a bit more aggressive than the sting rays. It is important that you maintain your perspective. These are wild creatures first and as such, can be unpredictable in their behavior. The best course of action is to leave the touching and feeding to the dive masters, while you enjoy the show from a safe distance determined by your swimming skill and comfort level. The boundaries of the Hol Chan Marine Reserve are marked by buoys. Signs, informing divers that they are entering a protected area, are erected at either end of the reserve near the reef crest. Below is a brief summary of regulations governing the water of the Park. 1. No fishing or collecting is permitted. 2. Do not disturb or remove any flora or fauna. 3. 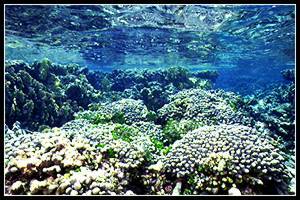 No persons shall cast or drag any anchor in such a way as to damage coral reef formations. 4. Visitors shall first obtain a ticket from HCMR Office or from the ranger on duty before engaging in any water activities. 5. All boats operating in this zone shall obtain registration from the Administrator. 1. No spearing or netting of fish is allowed in the Boca Ciega Blue Hole. 2. Fishing can only be carried out under special license. 3. All boats used for sport fishing shall obtain registration from the Administrator. 4. Sports fishermen shall obtain tickets from the reserve office before engaging in any fish activities. 5. 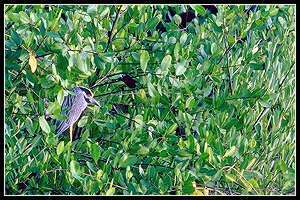 The plants and wildlife on the mangrove cayes are not to be collected or disturbed. 1. No person shall mark or tamper with any sign, buoy or notice installed by the Administrator. 2. Eight divers/snorklers per guide. When more than eight, one diver must join the group in the water. 3. No touching or standing on corals. 4. No feeding or touching of fish. 5. Do not use gloves in reserve's waters. 6. Use dive flag when people are in the water. 8. An unexperienced snorkeler must wear a life jacket. 9. The fisheries Regulations 1977 shall apply within the reserve. FAILURE TO OBSERVE REGULATIONS WILL RESULT IN A CONVICTION AND FINE. The fine will be a minimum of $1,000.00 or 6 months of imprisonment or both. 1. Approach the patrol boat and clear your tickets before engaging in any water activities. 2. Use extreme caution when approaching the Hol Chan Channel. The concentration of snorkelers and divers in this area poses a greater potential for accidents. be sure to look keenly for bubbles and the tips of snorkels on the surface of the water. 3. Motor slowly, in deep water, until a mooring buoy is selected. Idle directly to the buoy without meandering among other dive boats. Reserve this procedure when departing from the area. 4. 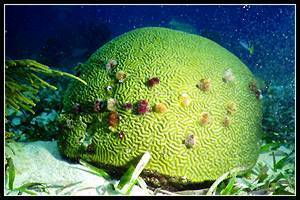 If a mooring boy is not available, anchor in the seagrass bed and be sure that your anchor chain or line does not contact any coral formations. 5. Boaters, stop at least 100 yards from a "Divers Down Flag" and watch for bubbles. 6. Glass-bottom boat operators should wait until the channel is completely free of snorkelers and divers before motoring through the channel. 7. Bow riding is an unsafe boating practice. Do not allow your passengers to hang out of the boat while underway. 8. Drinking and driving do not mix. 9. Use caution when approaching a weed line. Large floating debris often found within the weed can cause damage to your prop or lower uit. 10. Steer clear of marker buoys in the reserve. 11. Every commercial and non-commercial vessels should carry a fire extinguisher, a first aid kit and communication equipment. 12. Lastly, do enjoy your visit to the reserve and consider the safe boating tips outline above. 1. If it has been a while since you have SCUBA dived or snorkeled please let your guide know. He will assist you in attaining self confidence and practice. 2. Make sure you follow the group and never stray by ownself. 3. Ask your guide about the currents or anything you may not be sure of. Be sure that you do not use faulty equipment. 4. Take a buoyancy device if you are not sure of yourself in the water. 5. 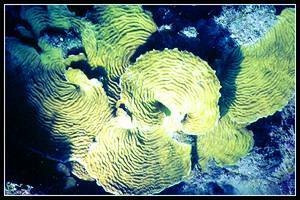 Never interfere with any marine fauna or flora as these may cause harm to you just as you can cause harm to them. 6. 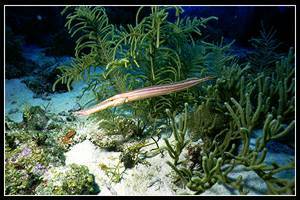 Do not take any organic matter to fee the fish as these may attract sharks and barracudas which can cause harm.